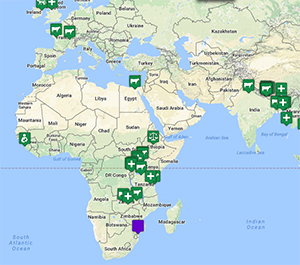 prepare our graduates to practice their chosen area of veterinary medicine with a global perspective. The expansive IVM Signature Opportunity includes courses, international experiences, on-campus forums, and an advanced certificate program. The IVM Post Graduate Certificate program is designed to prepare students who are interested in pursuing a career in international veterinary medicine. Faculty mentors lend their expertise, professional networks, and general advisement to students in the IVM program.